It’s close. It’s so close. I can taste it. And it tastes awesome. The 84th annual Academy Awards is less than two weeks away. Take my birthday. Take Christmas. Give me the Oscars and remain silent during the show. I must not be disturbed. If you want to know my thoughts, follow me on Twitter (@suddenlydog), as I’ll be live tweeting for my third year. 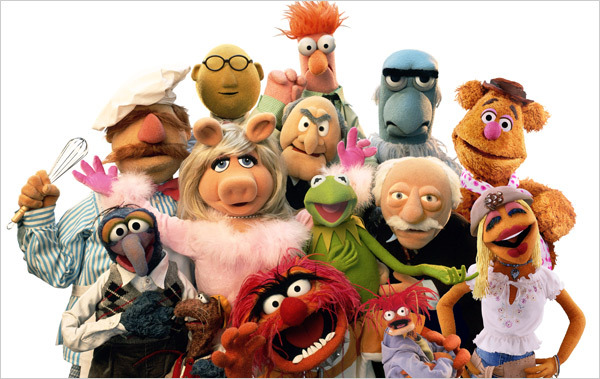 Though nothing has been confirmed, the prospects of Muppets appearing at the Oscars is enough to get me excited. “Man or Muppet” from The Muppets is nominated for Best Original Song. It would be a hugely missed opportunity if the Jim Henson creations of my youth didn’t appear on stage for the number (that is, assuming the songs are performed on stage this year—there’s only two, so why not?). And don’t forget—Miss Piggy is a fashionista. Could she be strolling the red carpet? Joan Rivers did leave some shoes to fill. I think our porcine friend could cram her hooves in them with little effort. I caught a screening of the Michelle Williams-starring My Week with Marilyn, prior to its world premiere at the New York Film Festival today. This true story stars Williams as Marilyn Monroe during the filming of The Prince and the Showgirl (1957) in England. 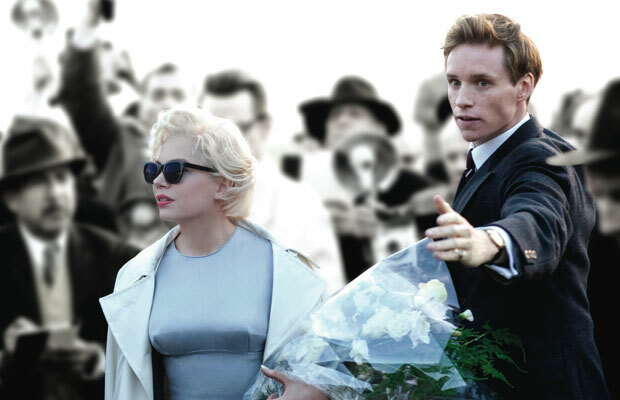 Colin Clark (Eddie Redmayne) is a 23-year-old film enthusiast who pushes his way into working with Laurence Olivier (Kenneth Branagh) on his new film, which he’s directing and starring in opposite Monroe. Throughout filming, Olivier finds it difficult to work with the struggling Marilyn (she’s not the great actress she wants to be), who is newly married to famed playwright Arthur Miller (Dougray Scott). When Arthur leaves Marilyn’s side to be with his children in New York, the delicate and troubled Marilyn begins to confide in young Colin, who grows close to her despite the advice of everyone around. The film is Simon Curtis’s feature directorial debut and also stars Emma Watson, Julia Ormond, Toby Jones, Dominic Cooper, Derek Jacobi, Zoë Wanamaker, and Judi Dench, with a script by Adrian Hodges, based on Clark’s diaries. It opens in theatres on November 4, undoubtedly with an awards push for Williams’s stunning performance.